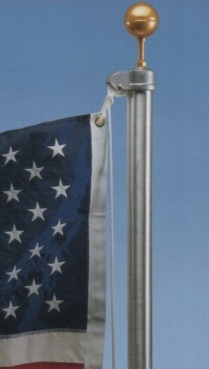 The lightweight modular Patio flagpole is a popular choice for the home or apartment landscape. The shaft sections are manufactured from seamless aluminum tubing for a rust-free, longlasting beautiful appearance. The bottom of each section fits snugly over the top of the section below it to produce a strong, water-repellant joint and attractive, straight assembly. 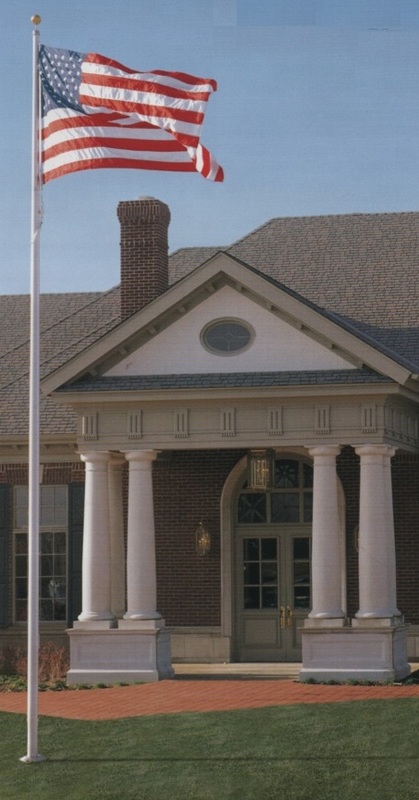 The Patio flagpole can be proudly displayed year round or easily assembled for storage. The original shipping container serves as a reusable storage container. 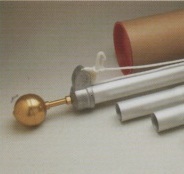 Standard fittings include a gold anodized aluminum finial ball; cast aluminum stationary truck; limited stretch braided polypropylene halyard; cast snaphooks and a 4.5" aluminum cleat. A ground set PVC foundation sleeve and complete assembly instructions are included. All in a single package. The standard finish is a clear anodized coating over the aluminum for a maintenance free finish. The Patio is also available with a white or dark bronze powdercoat paint finish.